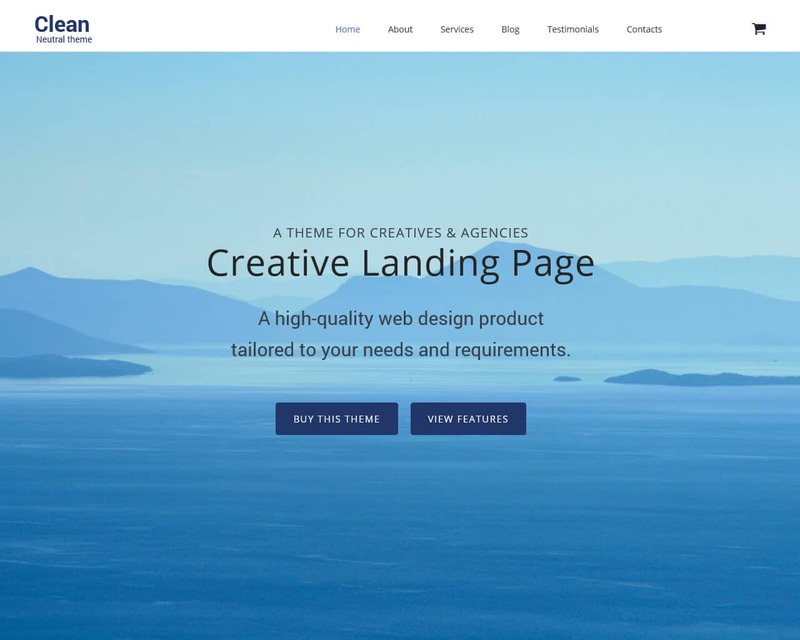 A carefully-crafted landing page can catch the eye of various people. It can turn out to be a strong foundation for your future online-project. So, your website can serve you as an initial step on the path success. In the age of the active web-development, lots of people have a website. A great part of them is landing pages. In this article, we want to focus on top marvelous landing pages templates. A landing page can assist you in increasing your sales. It can also make it possible in engaging a huge number of new readers. Actually, there is a great number of sources that tell how to create a landing page. Yet you do not need to waste your time. With the help of these themes, you can express the full potential of your business. You can convey all your possible ideas and get many sales. You should understand that a landing page makes the first impression on your visitors. For this reason, you need to make sure that it has the most stylish and professional look ever. We have already made sure that these templates will provide you with a great look and functionality. It is your turn. You should choose the most eye-catching one. You should choose a ready-made solution that will fit your online-project. 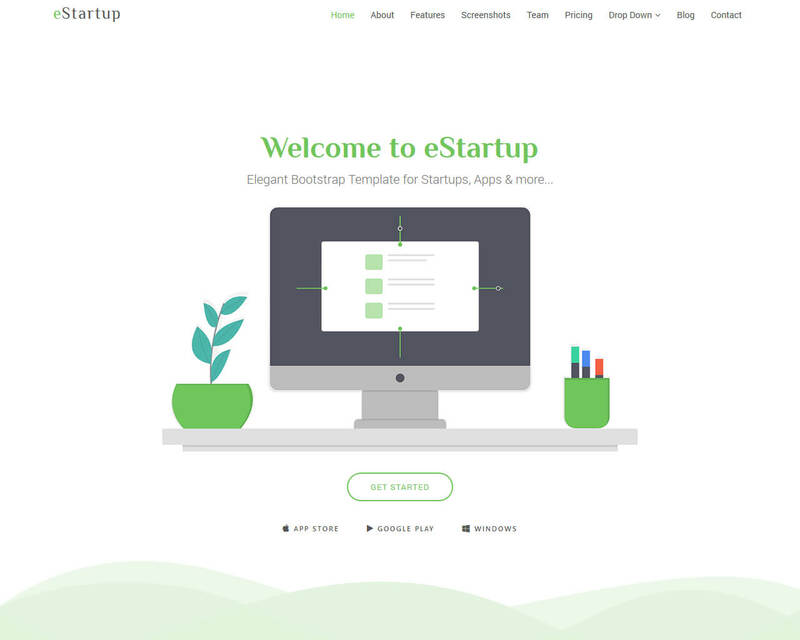 eStartup is light and clean landing page template crested with Bootstrap. It's ideal for anyone looking to create a website for startups or landing pages for apps or services. 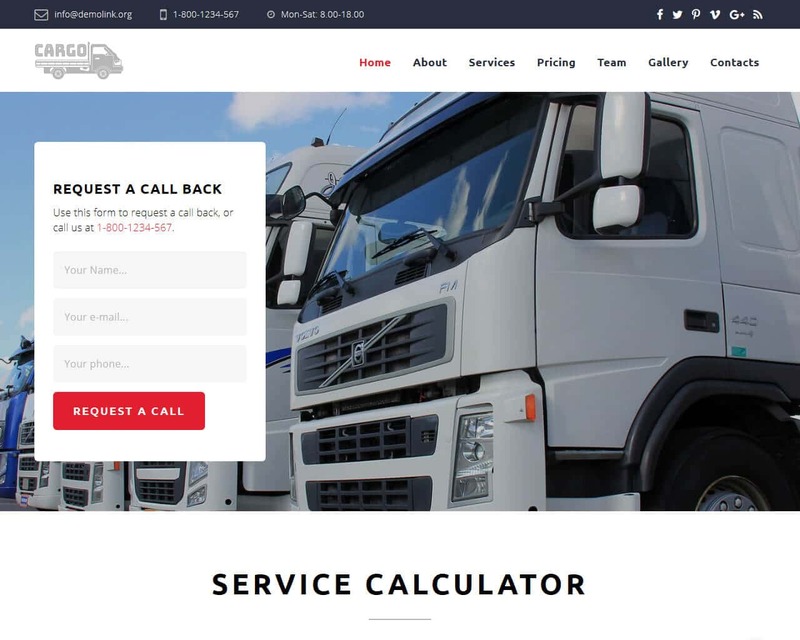 The header resizes to full page at initial load and allows to focus the user attention with a catchy graphic and direct him to the call to action button. eStartup comes with various sections like : about us, features cards, app or service screenshot carousel, team, pricing and more. 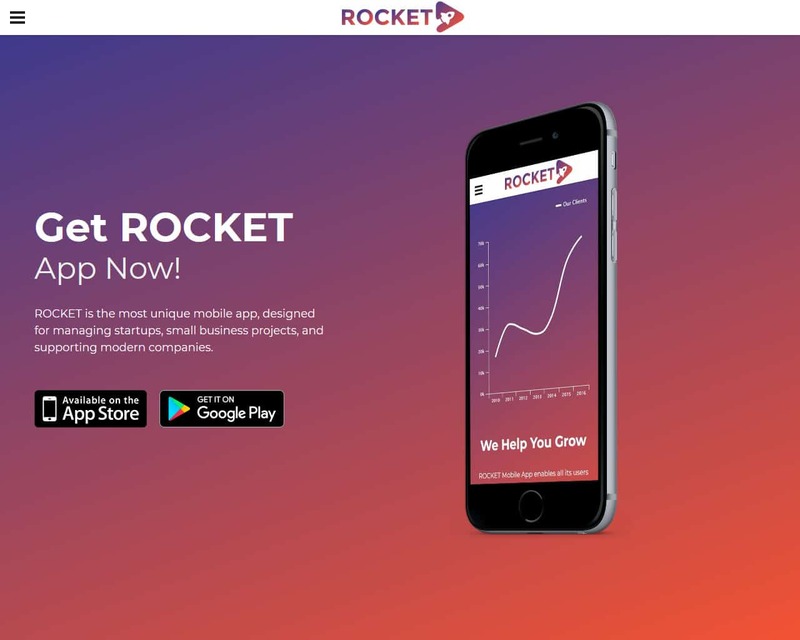 eStartup is fully responsive and works very well on all devices. The mobile menu is created with off-canvas method and is very easy and user friendly for navigation. Do you want people to visit your website again and again? Do you dream of the landing pages that will make them become interested? In this case, set your eyes on this solution. It will help you in drawing your potential readers. If you want to fight off your competitors, you need to get it right now. Why do we offer you to choose it? Let's find out together all possible advantages. - user-friendly social buttons to share information. Take advantage of this out-of-the-ordinary theme to impress all people on the web! 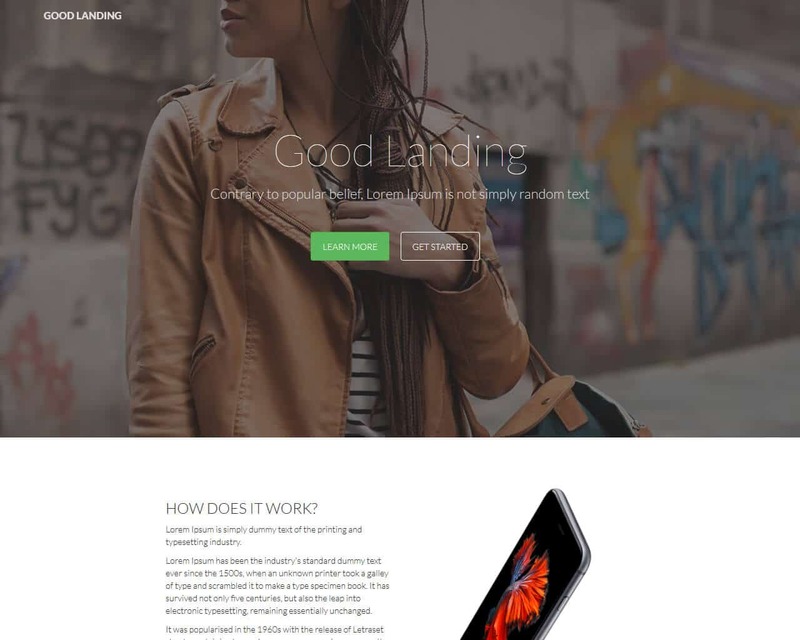 GoodLanding is a clean, multipurpose landing template that is integrated with the popular Bootstrap framework. This template has the most amazing design, and it is sleek and sophisticated. Good landing is a good choice for you if you are looking to promote your business startup, agency, travel, food, website applications, showcase your products and services and many more. It has coding that is properly organized and well commented that you can use with ease to edit your site. It comes with all the necessary features that you need to take your online project to a higher level. Some of these great features are, smooth scrolling and pricing tables, browser compatibility, Font Awesome icons, it is well documented, and you get free quick support, Google fonts and a portfolio. Good Landing can be a good template for your online presence as it will represent you perfectly. Are you an owner of the building or construction company? Do you want you to increase the number of your clients? Do not pass by this solution to get more and more customers every single day. It has lots of features to work with. We want you to get familiar with them right now. - services to present all benefits of your company. If you dream of getting a powerful business, you should get this template here and now. It will allow you to get more attention from people. Do not forget that it has lots of helpful features. They will make it possible to build a website in a flash. Furthermore, it will provide people with a stunning user-experience. This template is a one-pager that is very reliable and great on your website. It is built with the amazing Bootstrap framework, and this makes it unique. It is very well crafted and therefore has an amazing design that is sophisticated which makes it suitable for all your landing page. You can use it for your creative sites, business, blogs and simply anything because it is multipurpose. ServicesLanding has all the necessary features that are going to complement your services and products. It comes with a great thee color that is eye-catching and one that you cannot ignore, this template just speaks for itself. You will also get a portfolio for all your personal information that you want your clients to know, different homepages, Font Awesome, Google maps, it is already customized and ready to use, you will get sliders and Google fonts. SumoLanding is a Bootstrap landing page template that is uniquely designed and featured to meet the user's needs and standards. It is built with the latest tools so that it can stand out from the rest. These unique features include detailed documentation, a well commented and simple code that you can easily use to customize your site, different homepages and also blog pages, many background colors that you can change easily but you are not limited to using the ones that you like best, it has Google maps, Font Awesome and so many other features that will complement the products and services that you sell and offer. 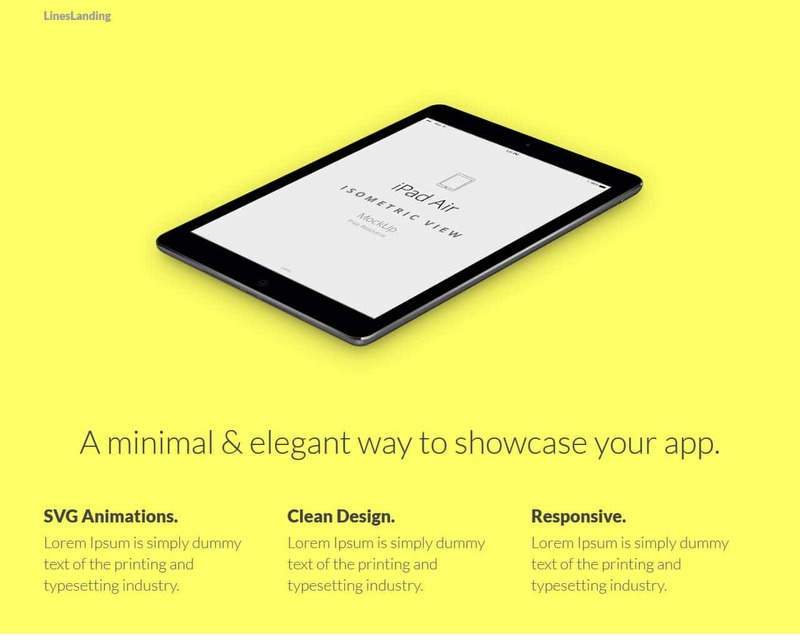 If you are interested in a template that will enhance your online appearance, Sumo landing is certainly the perfect one. You are guaranteed to expand if you choose this amazing template. 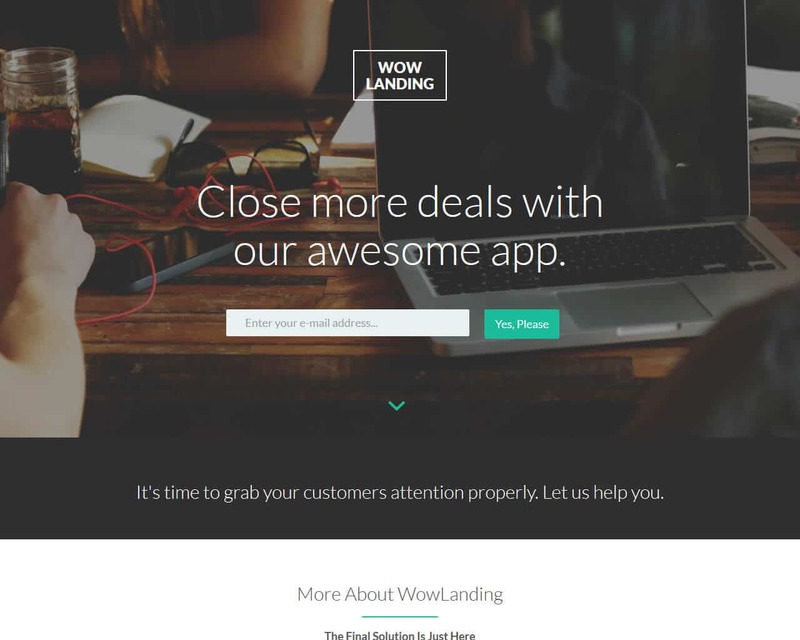 WowLanding is a Bootstrap landing page template that is suitable for showcasing any product or service in a website. You can finally create the site that you have always longed for with wow landing as it has all the features that are necessary to do so. It comes with a well-commented and organized code that you can perfectly use to edit your website. You all get detailed documentation which is very essential for all sites. 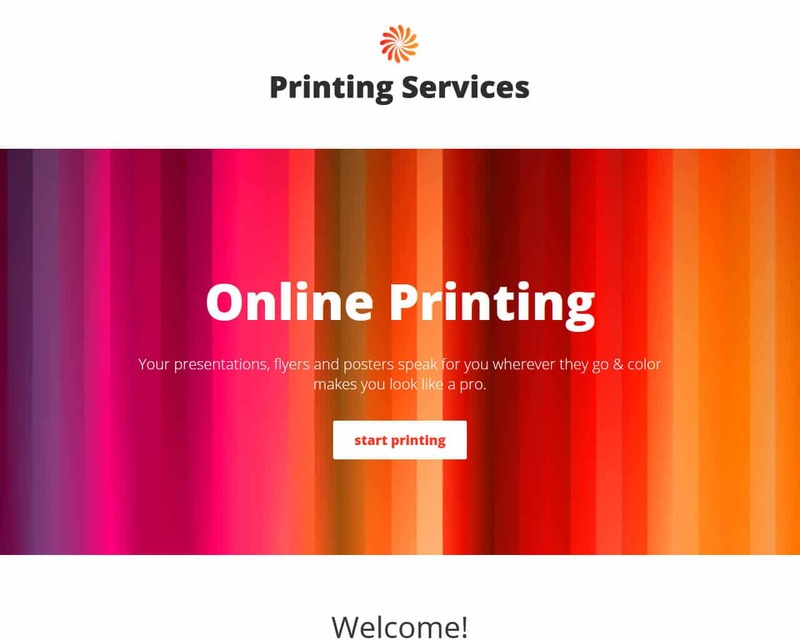 WowLanding is suitable for businesses, creative arts, you will also get a variety of homepages, Google maps, Font icons, portfolio page, contact us, content page, about us, and many more amazing features. With Wow landing you are guaranteed a very elegant and sophisticated site that will still be fancy. This template is compatible with multi-browsers which is very important as you will not feel restricted to some. A creative and bright template to get more visitors. It has an unusual design that will impress everyone's imagination. Nowadays simplicity came into vogue. For this reason, this excellent theme includes this very principle. You can use to create a landing page for every topic. When it comes to different agencies, it will make them look even more attractive. - a huge collection of wonderful Google Fonts. If you want to combine a great look and functionality, feel free to select this variant. It will assist you in launching a unique website. You can make the most of your online-project. In a case, if you choose this powerful template. 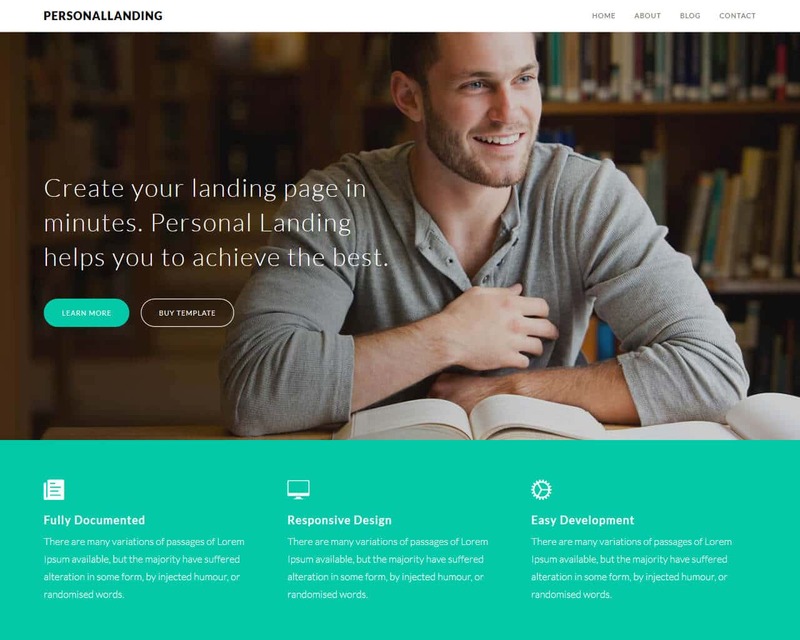 BookLanding is a landing page template that has been carefully crafted to meet all the user's needs. It is most suitable for book lovers, mainly e-book authors and marketers. With Book landing, you do not need to work tirelessly to make your product a hit or noticed in the market as it is outstanding. BookLanding comes with a very beautiful and elegant design that easily beats all the rest. 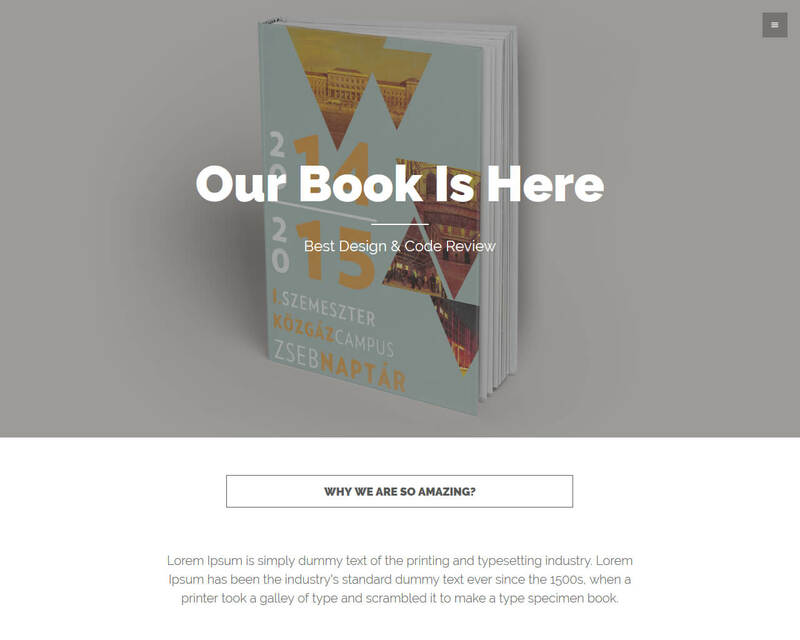 Book landing is one of the templates that has amazing features that are all essential for your site development. Some of its amazing features include a very well commented code that you can easily use if you want to edit your site and more, it is perfectly documented and does not miss a detail. Book landing has a different home paged, maps with a highlighted pointer a portfolio page that all site owners need. You are guaranteed growth and expansion of your site once you apply Book landing. Do you want to get a modern online-project regarding your digital products? Do you want you to present your digital services in the most stylish way? In this case, you need to get this ready-made solution right now. This great landing page will meet all your demands. It has a professional look and fully-fledged functionality. By the way, marketing services will have the most amazing look. If you choose this theme to show them off, of course. What other options does this template have? - a great Google Map to show physical location if it is needed. So, if you want to get more visitors, there is no need to hang around. Just take advantage of this theme to make your website become popular. 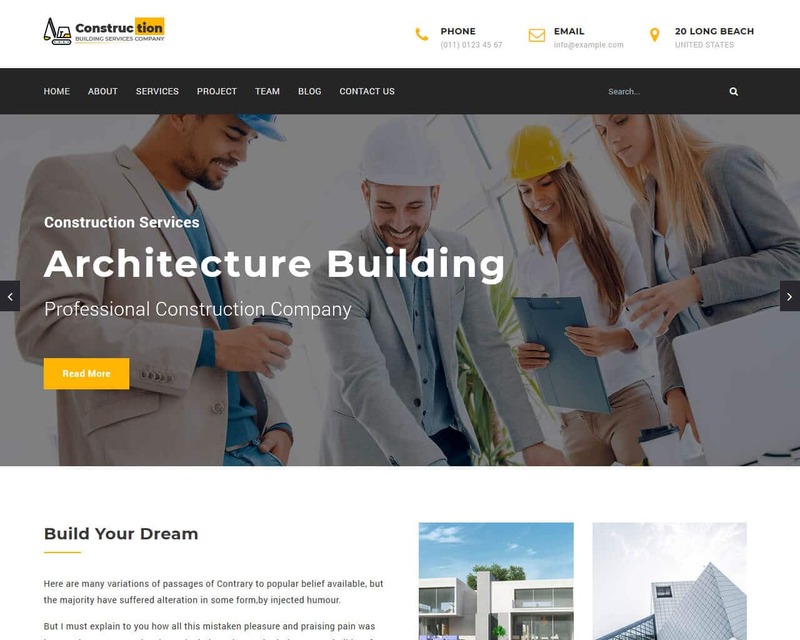 If you want to spread the word about your building company, make use of this theme. It will increase the number of your clients in a flash. There are a few reasons for it. To start with, it has an eye-catching and vibrant design. Without a doubt, it will make people become engaged. In addition to this, it will not distract people's attention from a website. It will fix their eyes on your content. What other features will you get in the package? - lots of customization options to play around with colors and fonts. As you can understand, it will take you nothing to launch a tailor-made website. Make sure that it will make people agape with wonder. Just choose this theme to hit the target. - a user-friendly contact form to get in touch with all visitors. So, do you want to provide people with the best user-experience? To achieve success, you just need to grab this template. It will make it possible to increase the number of your readers. Your business should be presented in the best possible light. In order to do it, you need to select this theme. It can be called an amazing choice for your future online-project. Each topic will play out in fresh colors thanks to this template. To cut a long story short, it has a huge number of powerful features. We offer you to look at the most important ones. - a table with prices. 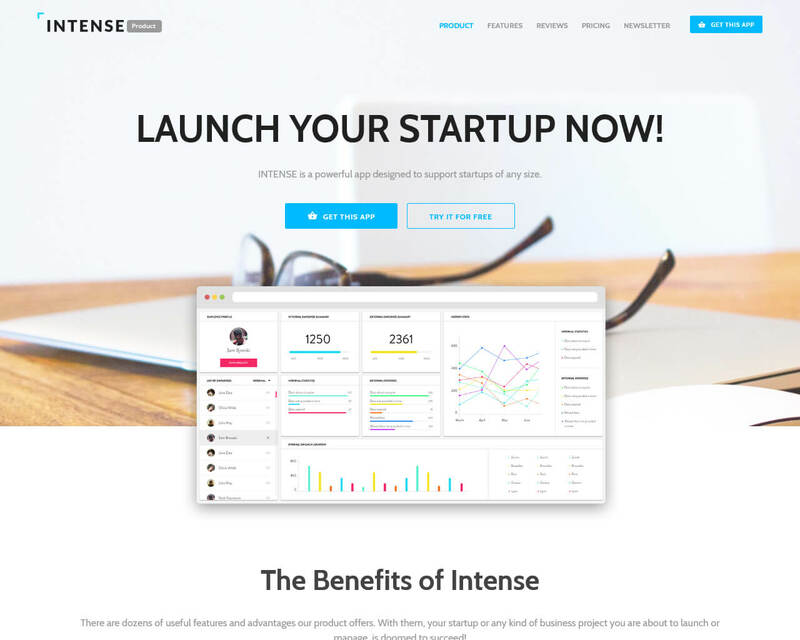 One more fully-functional theme to show off a start-up company on the web. Its design will make it possible to get new readers and impress them. Furthermore, you can implement all your ideas thanks to this solution. By the way, if your company works with mobile apps, forget about other variants. This fashionable theme will become your amazing assistant. In general, what are the other reasons to select this template? - a carousel to showcase your remarkable images at their best. Make sure to get your success. 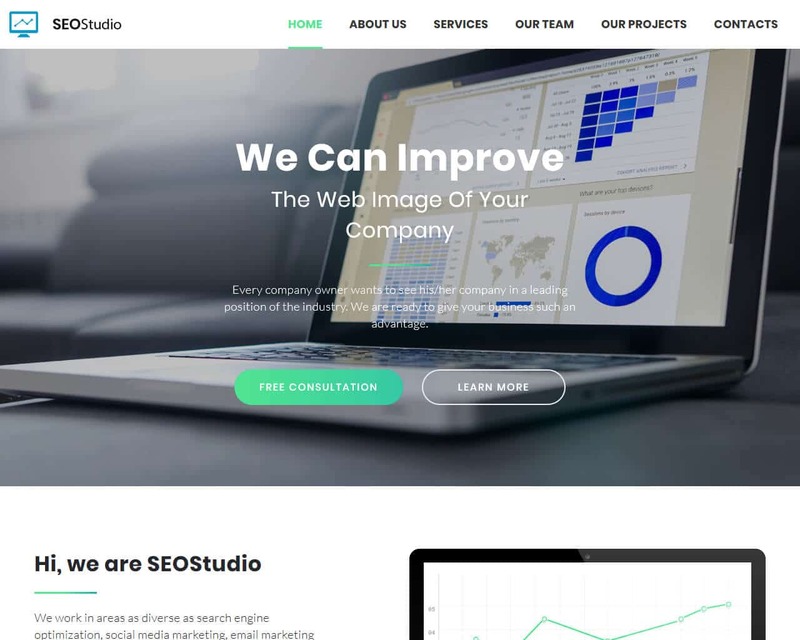 Get this theme and build your online-business brick by brick. By means of it, you will not do lots of efforts. You will save your time and money. Moreover, your website will look even better than others. 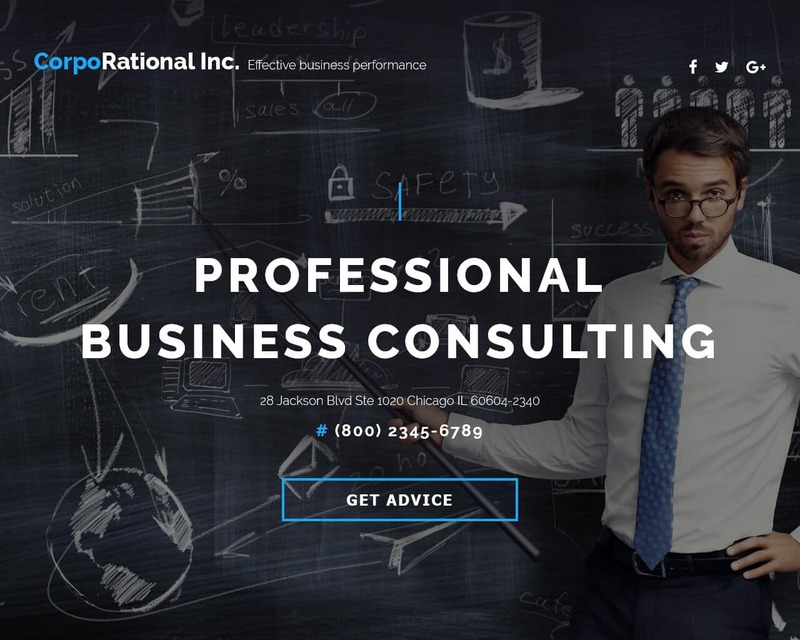 If you have something to do with a consulting business, choose this very theme. With the help of it, your website will get the most stylish look ever. Your online-project will turn out to be a real attention-grabber. There are a lot of options that you should pay attention to. Let us present the most crucial ones in the list below. - a great Novi Builder to assist you building a future website. Are you dreaming of the huge popularity? In this case, you need to select this template to fight off your competitors. For the reason that it will distinguish itself from a huge number of other online-projects. PersonalLanding is a simple landing template that is integrated with the popular Bootstrap framework. It is ideal for all your blogs and businesses. It comes with a portfolio page where you can save all your personal information that your clients and audience may need to know. PersonalLanding is one of the best templates for showcasing your work regardless of whichever field you are in. It serves as a great way of enhancing your online presence at any given time and day. It comes with wonderful features that are important for your site. With personal landing, you get an easy and well-commented code that you can use without struggling to edit your site, at is detailed and well documented, a contact us page, about us, a variety of homepages and also some blog pages, Google maps and many more. GlobalLanding is a minimal landing page template that is built with the Bootstrap framework and is suitable for all app landing pages. It is very appealing and modern, and it's crafted with the trendiest tools to ensure that you do not miss out on anything. 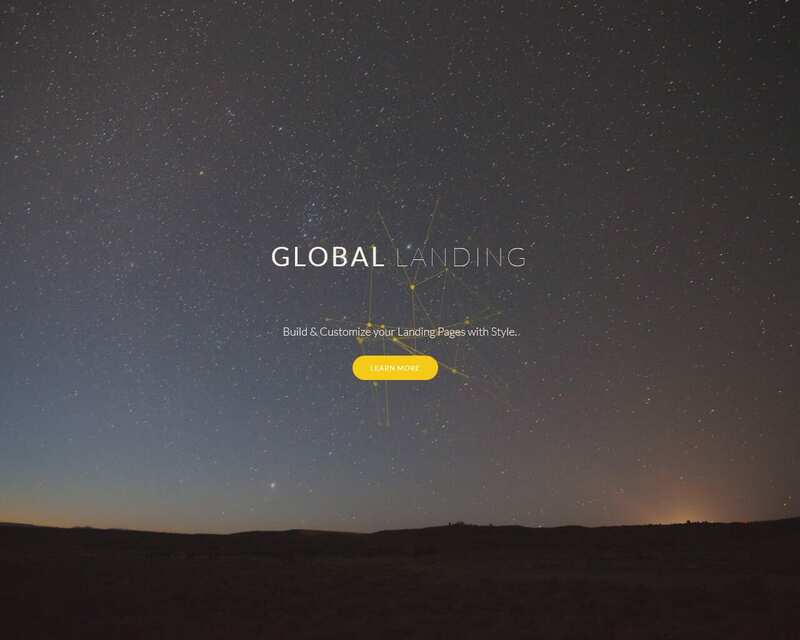 Global landing has all the features that are necessary for your site startup. With global landing, you get an organized and well-commented code that you can work with efficiently to edit your site. GlobalLanding comes with perfect documentation and is also thoroughly detailed. Certainly, this template will work best for your app development. One good thing about global landing is that it does not limit you to use specific browsers as it is compatible with almost all that are available. You are guaranteed success and nothing less if you choose to use global landing as your site's template. Flatty is a flat style Bootstrap landing page template. It has a flat, clean, simple yet elegant design. It is an admin template that has all the features that are necessary for you. Flatty is a premium template, and it is also very new. The fact that it is built on top of Bootstrap framework makes it very easy to use and also reliable as it is fast. You can use it for many other sites as it does not limit you. Flatty features many things like a clean and well-commented code that is helpful when it comes to editing your site, it is well documented and highly details, and this is a necessity for all websites, it comes with a variety of homepages, you can open your site on any browser as it is compatible with all of them, it is very reliable as it has been carefully crafted with all the modern tools. 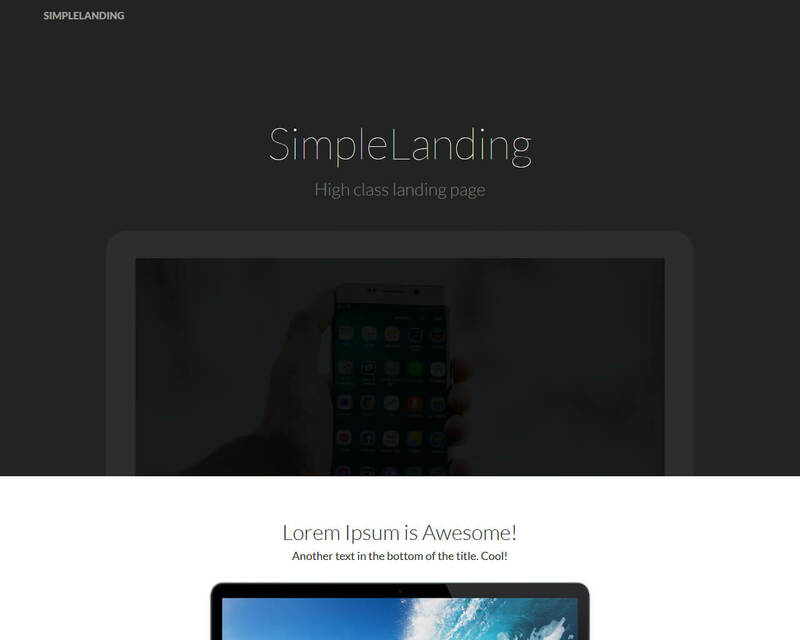 SimpleLanding is a very simple and basic template just as the name implies, it is built with the famous Bootstrap framework and is crafted with all the modern tools so that it can fit all the current standards. This template is your perfect choice for reviews for all kind of products. It has a very lovely, sleek yet smooth design that is set to attract an audience for your site. Even though it is very simple, SimpleLanding comes with the most amazing features that will go hand in hand with the fantastic products that you are reviewing. Some of its features are its documentation, and it is perfectly documented so that you do not miss a thing. It comes with a neat and organized code that is easy to use when editing your site, and you will get different homepages and many more. Choosing this template will mean that your website will be compared to none other as it will be unique. - lots of eye-catching Google Fonts to make it easier to read your texts. A reliable website is extremely easy to achieve. You just need to get this template. It will assure others of choosing exactly your services. 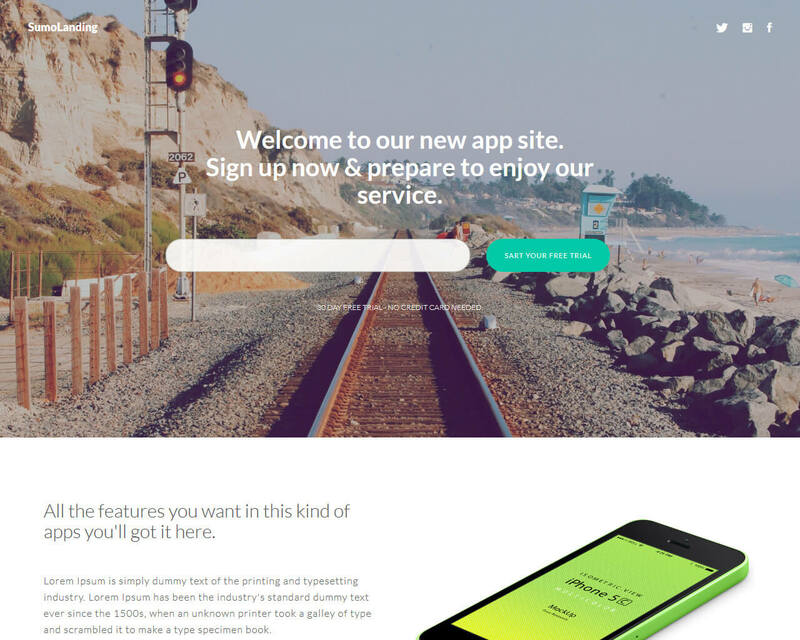 LinesLanding is a multipurpose landing page template that is built with the great Bootstrap framework. This template is perfectly designed for Office, APP, Agency, Business, Corporate, and generally any other website. It is very clean and simple which makes it very easy to customize. You can showcase your products and services on this fantastic template, and you can be guaranteed a good flow of clients. LinesLanding has features that are important for any website. Some of them are, place-holders for images, price tables, compatibility with major browsers, three different blog layouts, smooth page scrolling effect, a code that is very easy to understand as it is organized and perfectly commented, a help document, Google fonts and many more. This template comes with a very modern design and has been created with modern tools to ensure that your site is modern and sophisticated. With Lines landing, you can rest assured to get a great audience that you can do business with. SlideLanding is a one-pager that is multipurpose. It is created with the popular Bootstrap framework which is very essential for templates. SlideLanding is suitable for all niches, for example, creative home page, shop home, blog home, portfolio home and so many others. This template is very easy to customize and comes with a code that is well-commented and organized so that you can use it without strife. Aside from that, you will get more amazing features that you need to make your website stand out. 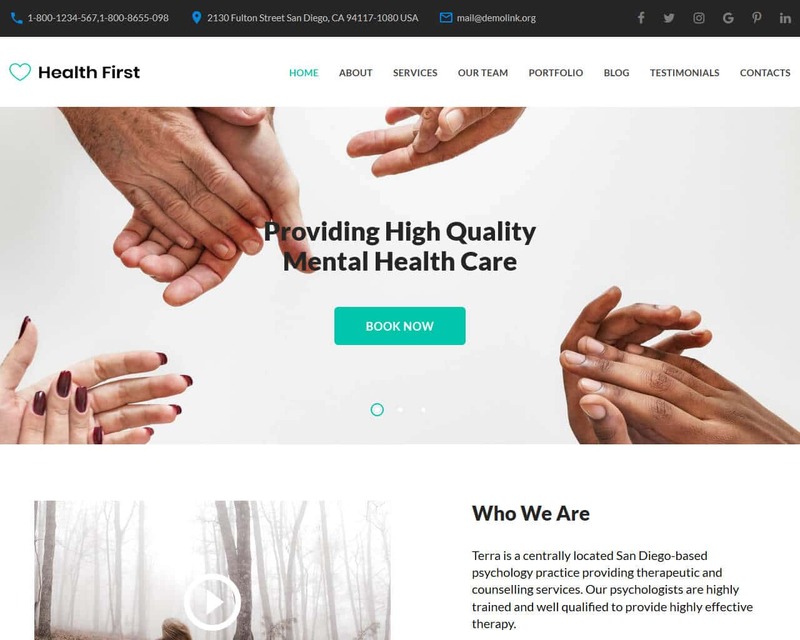 It has a very clean design, an already working contact form, it is highly detailed and documented, If you are looking for a template that is perfect for your online appearance, slide landing will do just the work for you. You are guaranteed good business if you are showcasing your products and services as its design is very attractive and sophisticated. 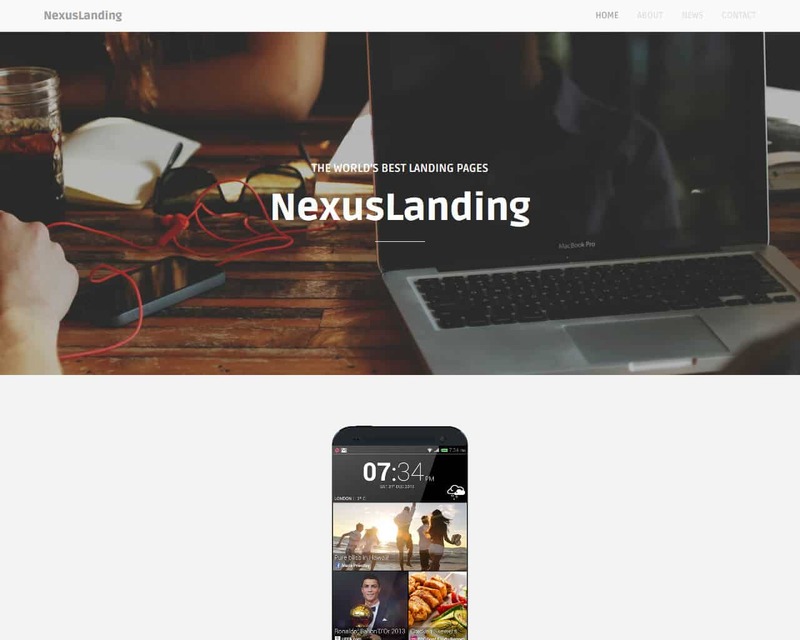 NexusLanding is a very sleek landing page that is built with the amazing Bootstrap framework. You can use this template to showcase any product or services that you offer. It has some of the unique features that you cannot find on many other templates. NexusLanding It comes with Google fonts, 3 form designs that will look just amazing on your site, if you wish to edit how your site appears, you can use the vector arts, it also has different color backgrounds that you can easily change according to your liking, a clean and neat code that you can use to easily customize your site, it is multi-compatible with all browsers and has different homepages. It has a very beautiful design that almost everyone will like and want to know more about. Nexus landing is just the way to go if you are focus is on creating an amazing website. 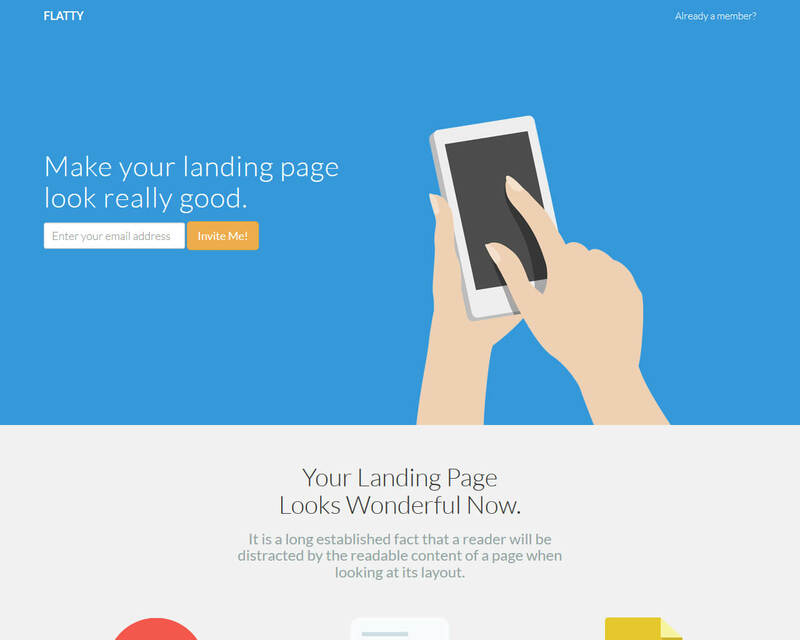 GadgetLanding is a perfectly structured bootstrap landing page templatek. It will attract clients to your site as it speaks for itself, you do not have to say a word. It comes with a unique and beautiful design that stands out and is very sophisticated. It can be used for almost any website, from creative, business, portfolio, accounts and many more as it is multipurpose. It comes with great features that you must look out for when choosing a template. GadgetLanding has a contact us page, a variety of homepages and blogs, different background colours that you can easily change depending on what you prefer, and you can apply your own as you are not limited. Gadget landing has a perfectly commented and organized code that you can easily use to edit anything that you wish, good and detailed documentation and so much more. Gadget landing is necessary for anyone looking to go a notch higher with their websites. 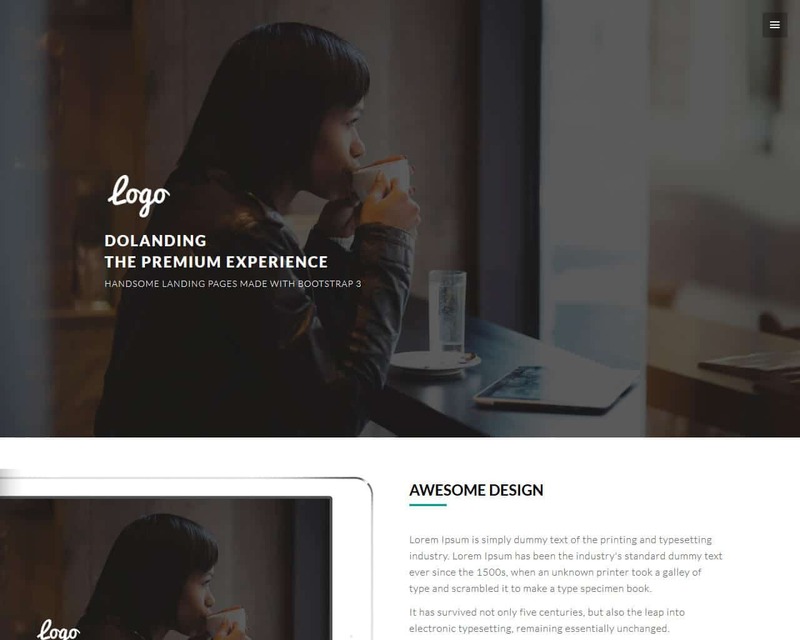 DoLanding is a multipurpose landing page template that can generally be used meaning that it is suitable for all websites that you can think of. It can go well with web applications, Businesses, Creative arts, accountants and all others. It has been integrated with the renowned Bootstrap framework which is its core, and this makes it stand out when compared to all others. DoLanding comes with great and impeccable features that are a must if you are opening or already have a website. Some of these features include a variety of homepages, blog pages, content page, contact us where you can leave a message or get contacts if you need a product or service inquiry, portfolio page which is very essential for every blog or website because clients want to know who they are working with. It also has a very good design that will attract clients to your site and hence promote your views and business. 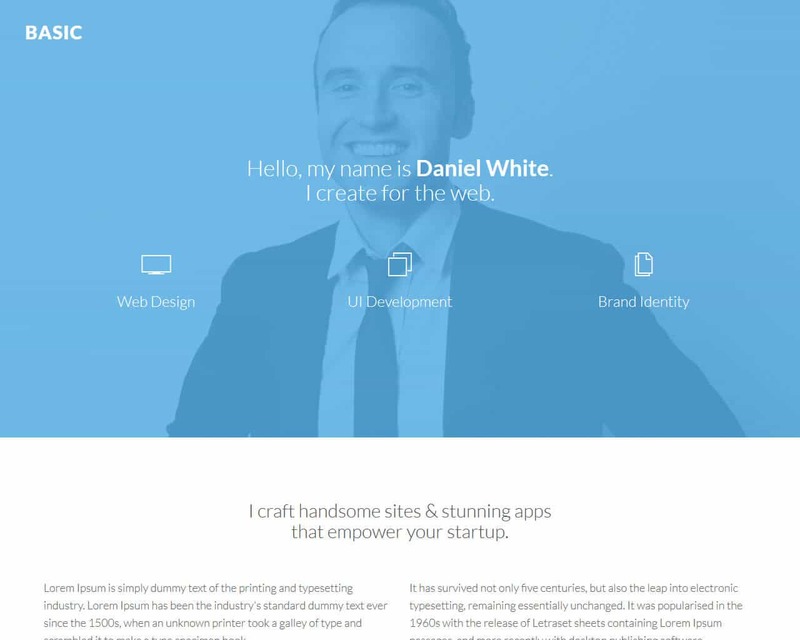 Basic is just a normal landing page template that is built on top of the Bootstrap framework. It comes with great features and has a very beautiful layout. It looks very elegant and professional but still fancy in a way. With basic, you can showcase all your professional work and anything about yourself. 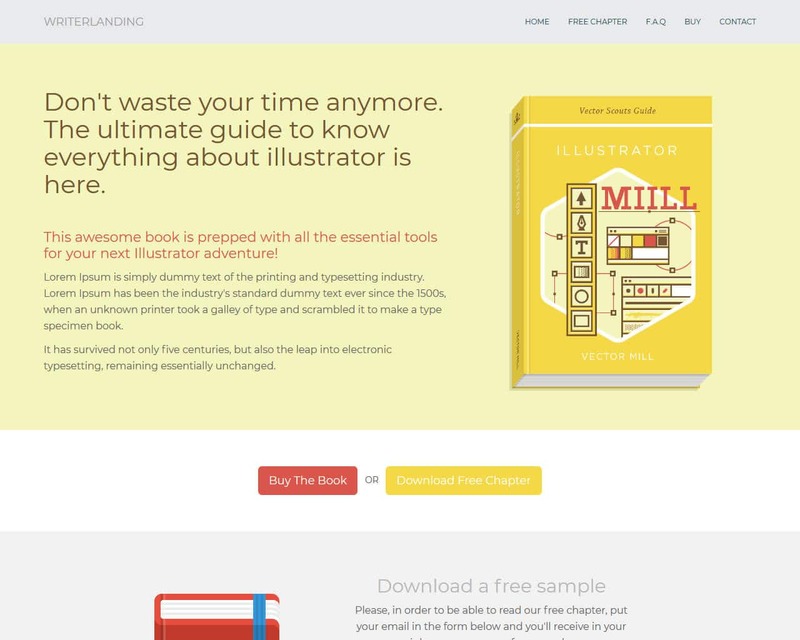 It is most suitable for freelancers, creative arts, modern design and so much more. It is easily customizable and is compatible with all browsers whether modern all not. Using basic you can successfully create your site in not anything more than two hours. It has amazing features that will in one way or the other complement your work. It comes with a clean and organized code that is necessary when editing your site. Your site will look sophisticated as this template catches the eye and will sell your name even before you do. Choosing this template is the best decision you can ever make for your site. A minimalist solution suitable for small projects just as the name points out. MinimalLanding comes with animation and parallax. It is fully responsive meaning you can use it on all gadgets including mobile devices. It is easily customizable, and you can also edit it at your convenience. The design is very clean and minimal. 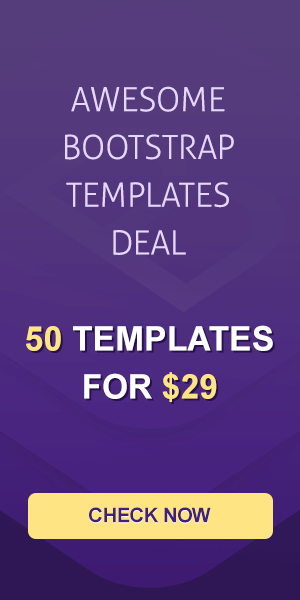 It is built in bootstrap framework which is a very popular tool for creating templates. It is compatible with almost all browsers which are a plus as there are others that are limited to one. You can use sliders, galleries and Google maps with minimal landing. It has a contact page and a portfolio page where your audience can get your information. With such a template, you can create the site that you have been longing for in just a few hours. The site can be used to showcase all your products and service in all aspects. 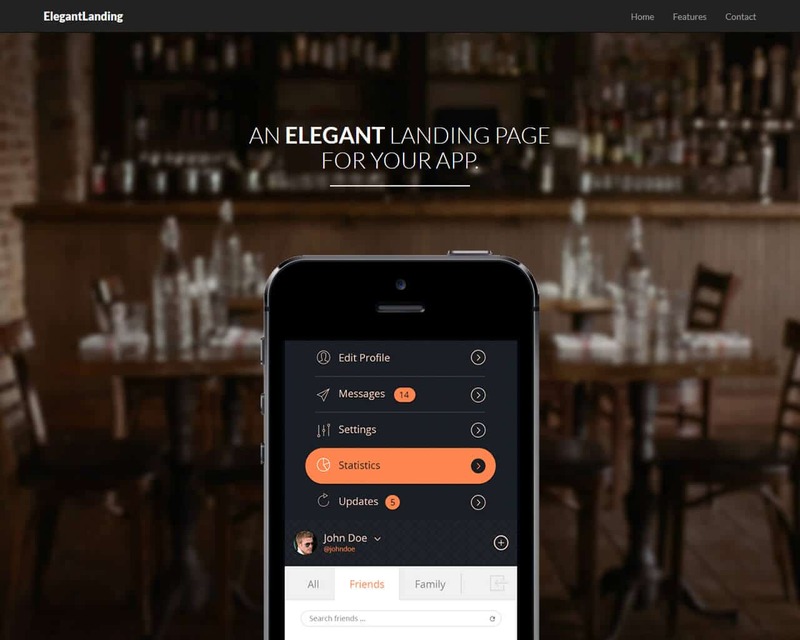 CleanLanding is a multipurpose landing page template that is built with Bootstrap framework. It is ideal for all businesses and also creative field and other industries. It has a very elegant design that will attract views as you cannot resist it. Clean landing stands out amongst all other templates because it comes with unique features that are just what you need for that website that you have been tirelessly working on. CleanLanding comes with a perfectly commented code that you can easily access and edit your site, and it also has a good layout, a sticky bar when scrolling down, great documentation that you definitely need to achieve the target of your site. You will also get different homepages, blog pages, a contact us page, about us, a portfolio page which is very important because clients often want to know who they are working with. 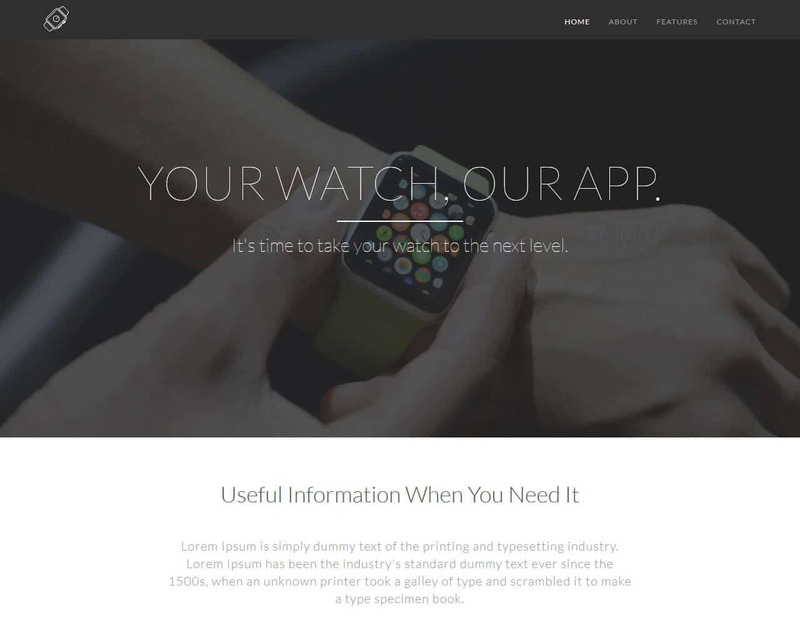 Just as suggested by the name, ElegantLanding template is very elegant and sophisticated. 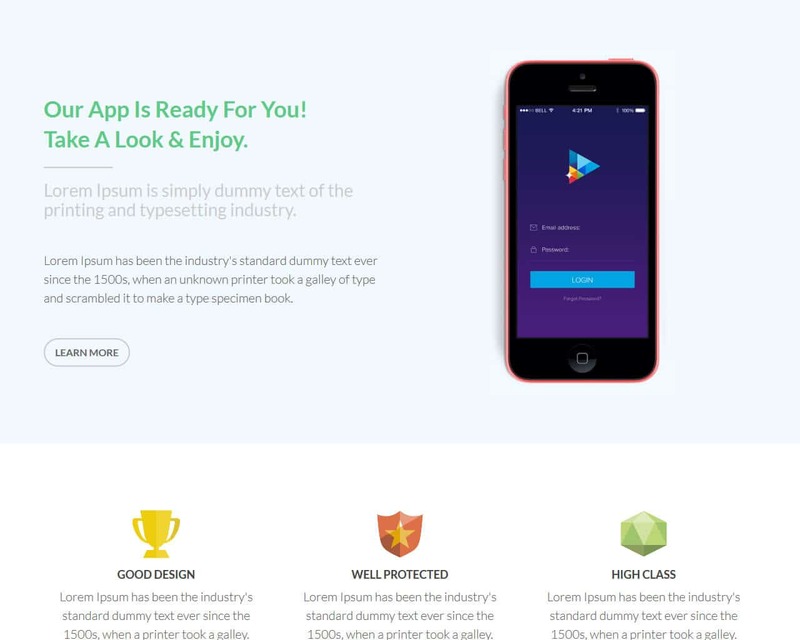 It is built with the Bootstrap framework which makes it a uniquely built landing page template. Elegant landing is multipurpose, and so it can be used for almost all websites, you can use it for business, creative arts, or any other way that you wish to showcase your products and services on a website. 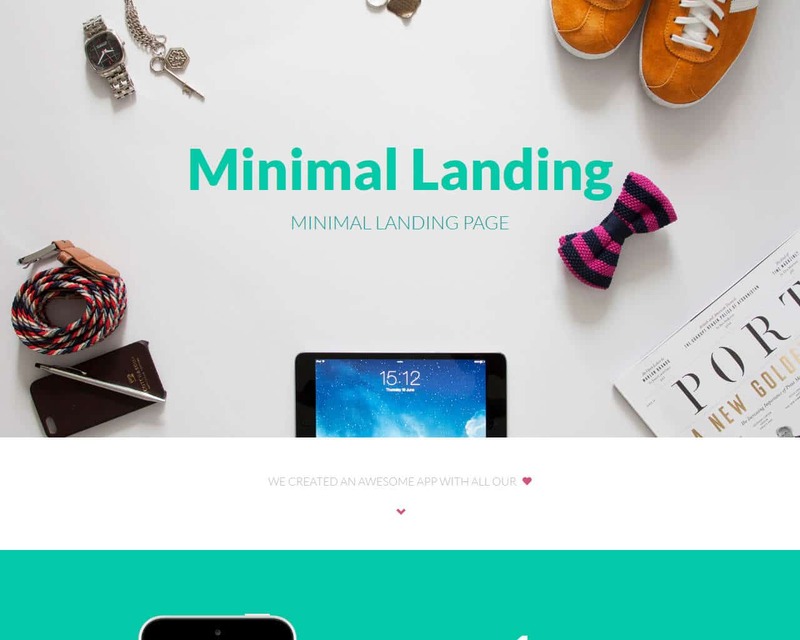 Elegant landing is the perfect template for your online appearance. ElegantLanding comes with the sleekest design that will without a doubt attract many views to your site and hence growth. It has amazing features that are all necessary for your site. A few examples of these sites are, it is compatible with all browsers so you can use it whenever and wherever, a well-commented code that you can use effortlessly to edit anything that you wish to and so many others that are a bonus to your site. 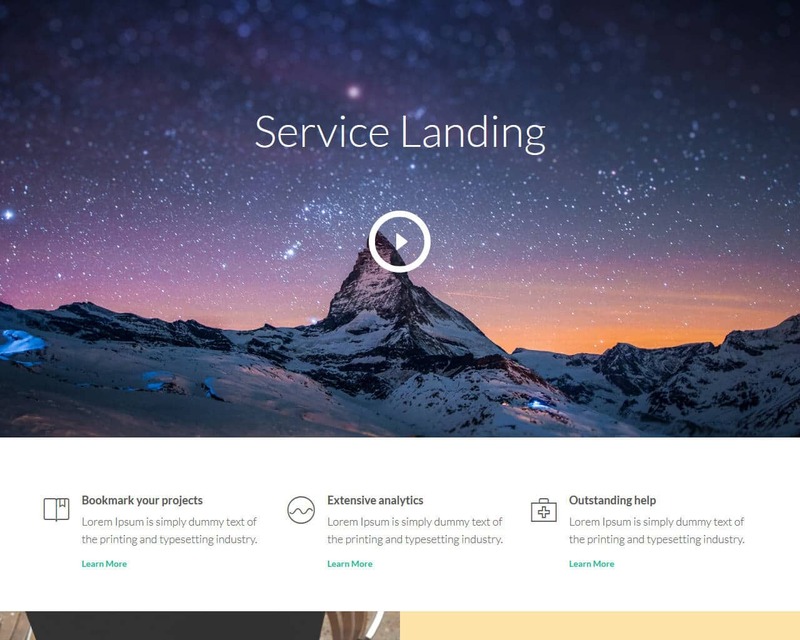 DisplayLanding is a bootstrap landing page template that can go well with all types of businesses. It can work perfectly in showcasing all your products and services. It has a very professional yet outstanding design that without a doubt will get you, clients, easily and hence generate business. With the help Display landing, you can easily start up the site that you have been longing for as it is already customized and also comes with a well-commented code. 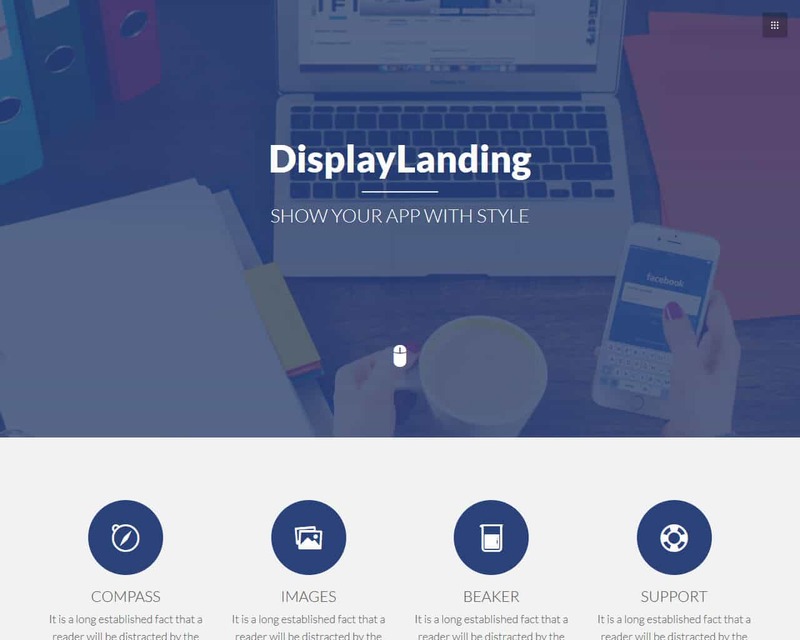 DisplayLanding has a fantastic feature that are a necessity for any site startup, it comes with different homepages, an amazing skin color theme that you can change if you wish, it is very detailed and perfectly documented, it is compatible with all the major browsers which means that you are not limited to specific ones. 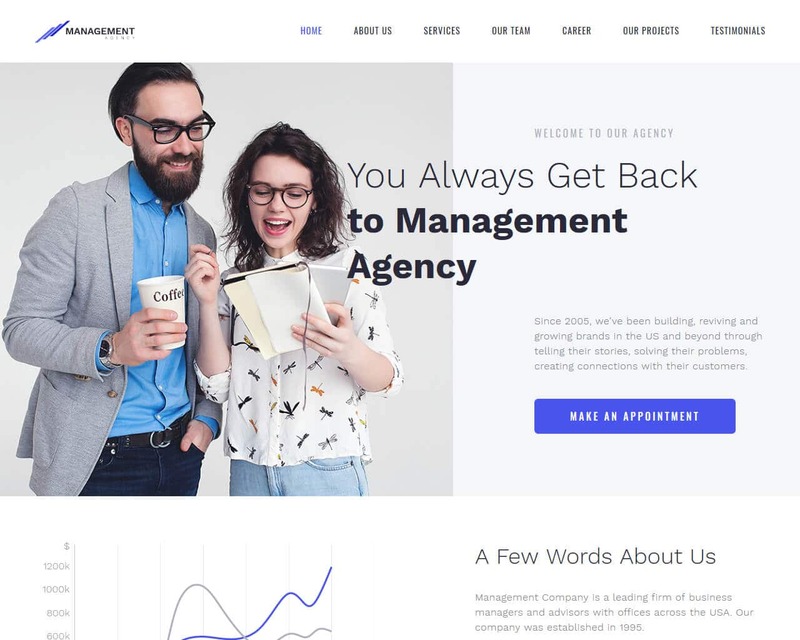 AppLanding is a Bootstrap landing template that is very clean and modern, and it is perfectly crafted to meet all the user's standards. 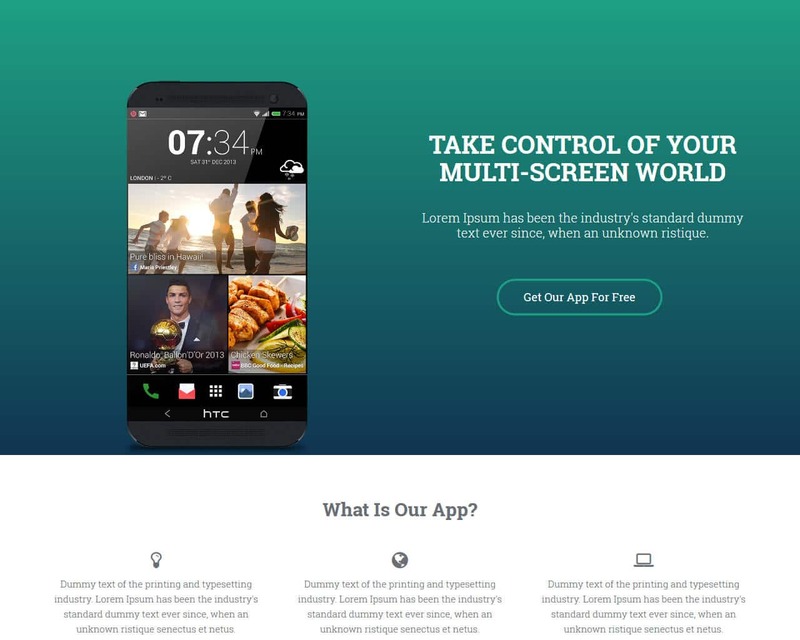 It is a clean template that is suitable for all your App landing sites. It has a beautiful layout that will look great on all screen sizes. It also comes already customized and can work well with all browsers. App landing has a very clean and neat code that you can use with ease as it is well-commented and simple while, it comes already customized. If you are looking to develop an app, this is the best template for you as it will help you in doing so. Apart from these features, you also get Google fonts, 900 font icons, and many more. This App is uniquely created to fulfil its purpose without straining the user. You can easily start your site App landing site in just a few hours, and it will be up and running. 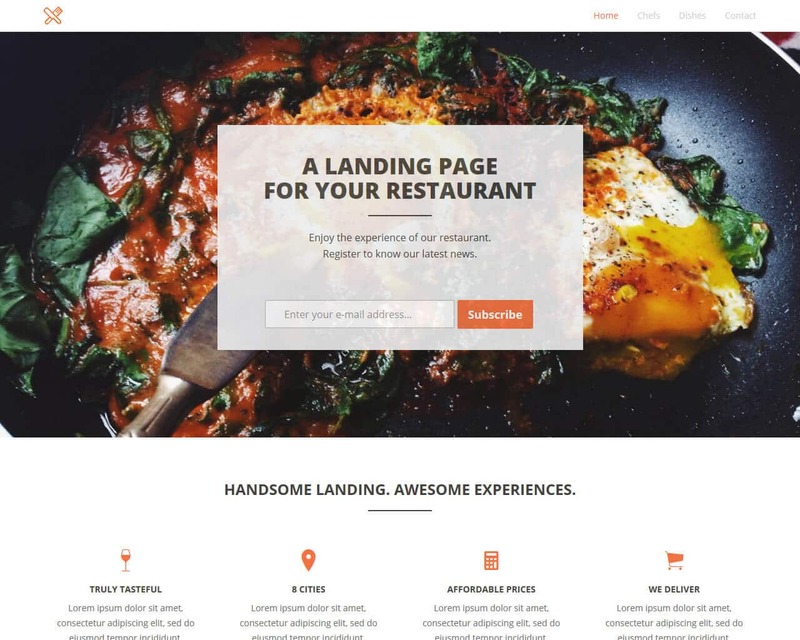 FoodLanding is just the template you need for all your food-related sites. It is integrated with the Bootstrap framework which is very popular and important for every template development. It is suitable for restaurant, cafeterias, Coffee shops, pizzerias, hotels and other sites that represent food. You can easily apply it on your site as it is very easy to use and is already customized. It comes with great features that are great for your site and will complement your products and services. FoodLanding has a menu bar, a contact us page, services, a chefs portfolio page where you can find all the details that are a must know regarding the Chef. You will also get a clean and neat code that you can simply use to edit anything that you feel is not working for you. Food landing is a must for everyone who is interested in the growth of their site. 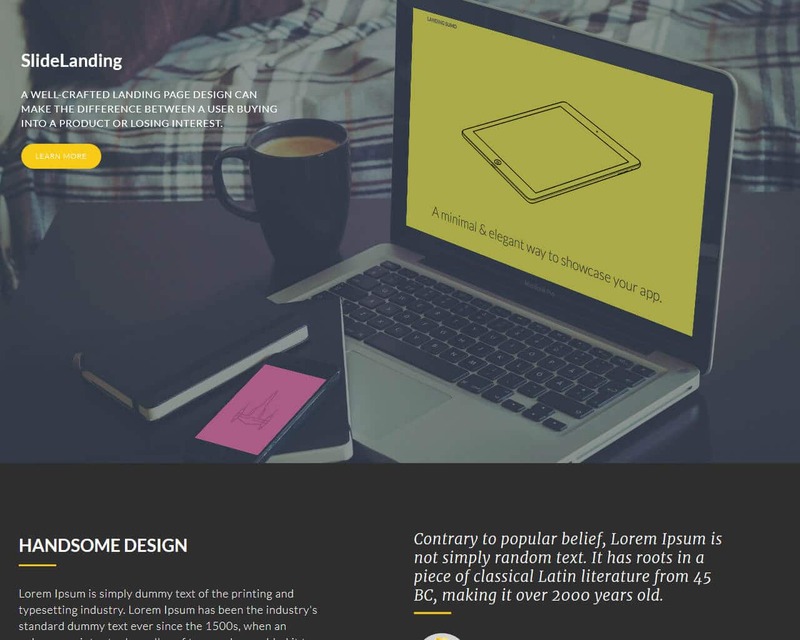 WriterLanding is one amazing template that is built with Bootstrap framework. It is a great choice and is basically suitable for writers. This template is just a simple representation of a book. Writers can easily and comfortably showcase their work in this template. With the help of writer landing, you can get clients that you can work with and write for as it is purpose oriented. As a writer, you certainly need this template for your website because it speaks for itself and will sell your services even before you market them. It comes with great features that go hand in hand with your services. Some of them are, an easy code that enables you to customize your site, it is well documented and highly detailed, it comes with Google fonts and maps, Font Awesome, and it is compatible with all browsers and so many more. This template is a must-have for every writer.